Jorja Tabu: Alex Minsky. Superhottie. Amputee. Optimist. 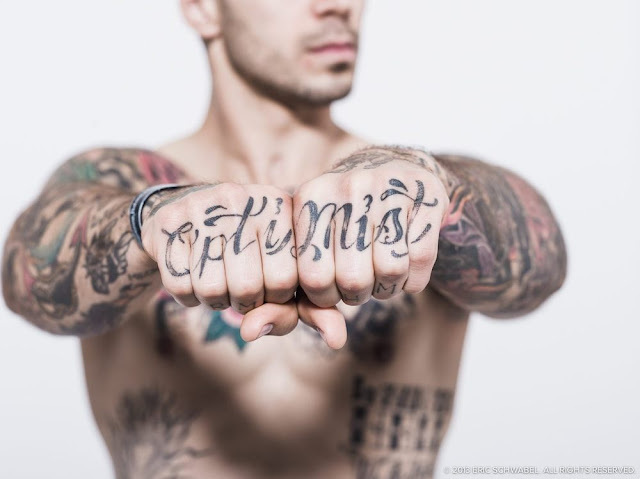 Alex Minsky. Superhottie. Amputee. Optimist. I stumbled on an interview with an underwear model named Alex Minsky. He is absolutely beautiful, and right up my alley what with the big brown eyes and tattoos and all. In addition, he is a Marine and a unilateral BKA. An amputee, in other words, and, more interestingly to me, someone who has survived--and thrived--post TBI. This is vaguely touched on in his interview, and a very positive outcome for a population that has had a really hard time. The photos I'm using were taken by Michael Stokes and Eric Schwabel, respectively.